When two men grab Mike Bray off the street on an ordinary Friday night, they turn his world inside out. 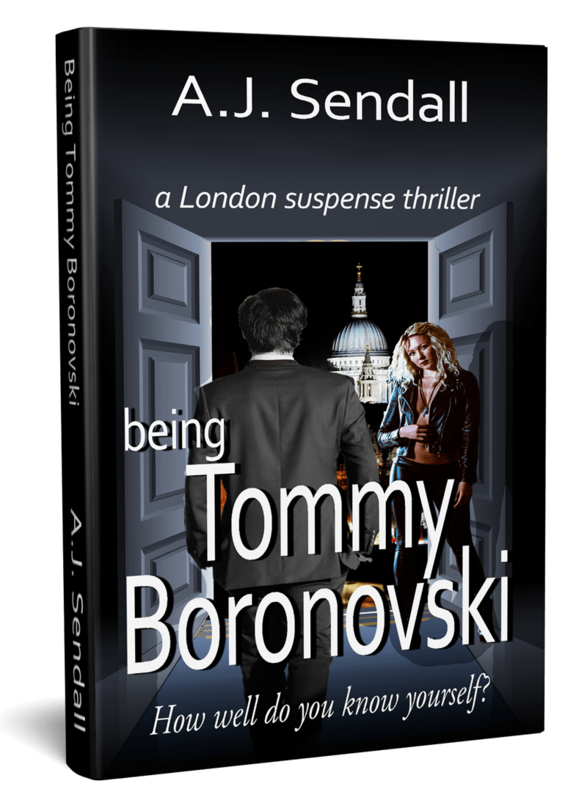 Coerced by the head of a South London crime gang to impersonate low-level criminal Tommy Boronovski, Mike quickly learns how to lie and side-step to keep his family safe. Somehow he must find a way of protecting his family from threats of violence and maintain his own ethics and morals as he treads a seemingly impossible path. When the borders between himself and Tommy begin to blur, it leaves him questioning his true identity, and hostage to his own temptations. Find out what happens in this gripping story of survival and self-discovery. Get all four books of The Sydney Quartet for an amazing $9.99! 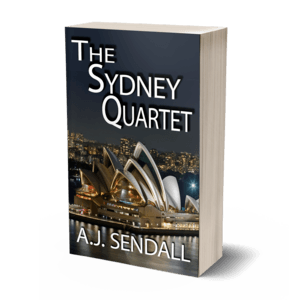 Click a link to download The Sydney Quartet from your favourite on-line eBook retailer now! Get Flank Street - Book One of The Sydney Quartet - for only 99p/c! This clever, psychological murder-mystery is an absolute must for fans of Ruth Rendell, Clive Cussler and Agatha Christie, with its twists and turns and sub-plots and a ruthless criminal mastermind, who appears a completely laid-back and debonair wanderer of the high seas, when the opposite is true. A definite winner for A.J. Sendall, an author I'd like to read much more from! The last line of this description is so true! It is a must read. It will blow you away. I was so drawn into this story that I was really disliking the main character which is NOT supposed to be. But as the saying goes, good things come to those who wait. Very good. What a read! I read this book because it was recently given a 5 star review by Awesome Indies, which is a good recommendation. And I certainly wasn't disappointed! This book has intrigue, romance, mystery - and it all takes place in the famous Kings Cross district in the heart of Sydney. The main character and narrator, Micky Dewitt, is the most likeable thug I've ever encountered, and his story kept me engaged from start to finish. Well written in every respect. Join my readers group to get updates and special offers. Your data will never be disclosed or shared in any way.